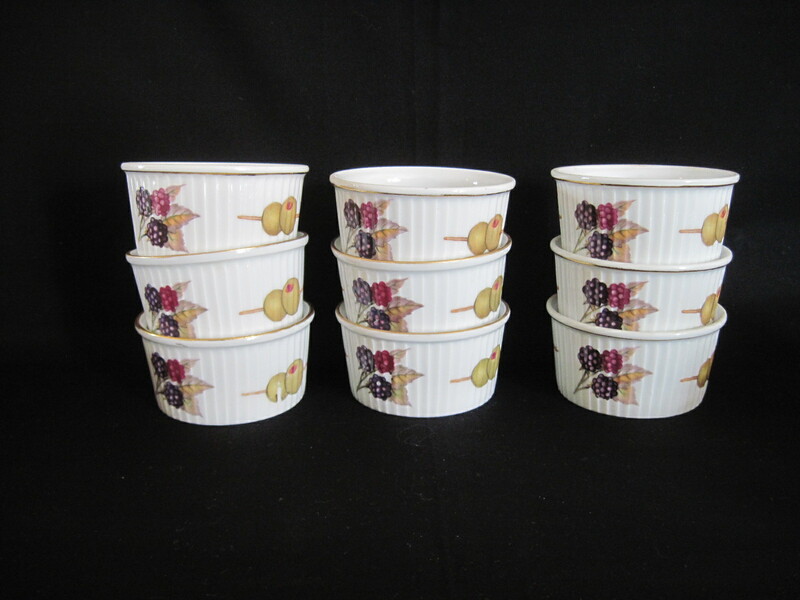 Royal Worcester Introduced the Evesham pattern in 1961. 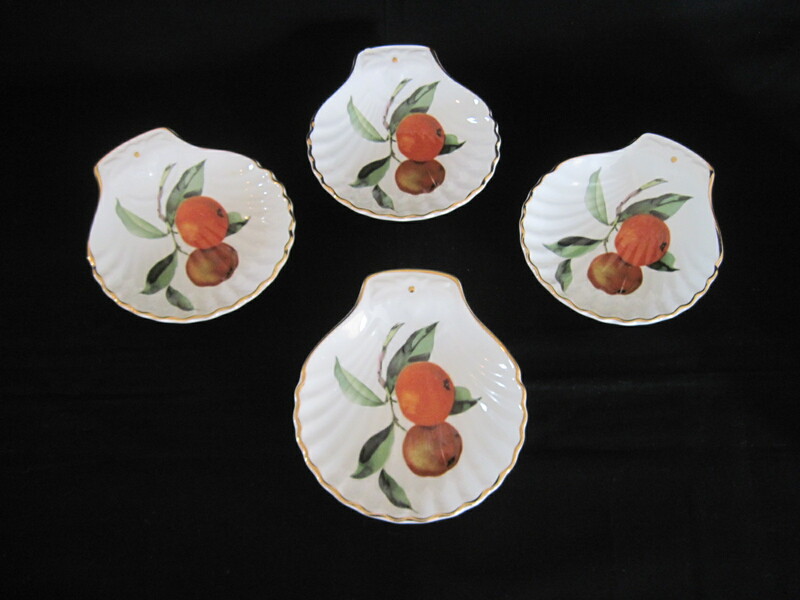 According to the Royal Worcester web site, the pattern was named for a town in the farm region known as the fruit basket of England. Luscious ripe fruits in rich autumn colors accented by a gold band. The ramekins are priced at $3 each and the shells at $4 each. These items will be for sale in my booth at the Almonte Antique Market, 26 Mill Street, Almonte ON. Please note these items are now SOLD!! !